Win a gorgeous Van Cat Meow book! 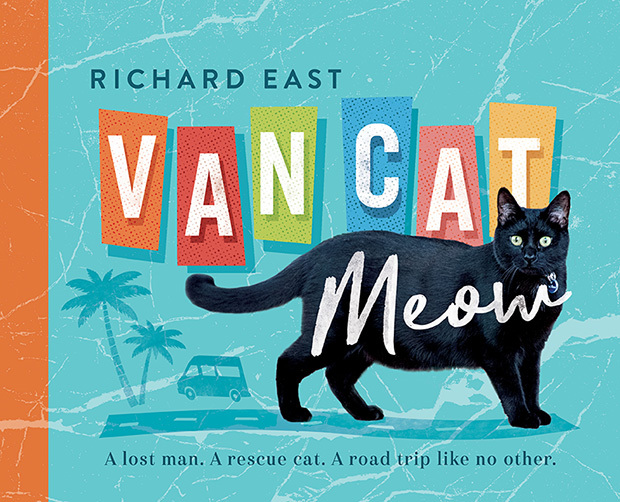 Win a copy of Van Cat Meow - A lost man. A rescued cat. A road trip like no other. People everywhere have fallen in love with Willow, the van cat, as she explores the wilds of Australia with Richard, her devoted owner. Organic Gardener magazine newsletter readers can, for the first time, hear the true story of Richard and Willow and the tales behind the images that have captured our hearts. Richard East once lived in a suburban house in Hobart, Tasmania, with a career and a mortgage completing the picture. But despite the certainty in his life, he felt lost. Realising he was at a crossroads, Richard was faced with a decision: follow the herd or pursue his own path? The rest, as they say, is history. Selling his house and throwing in his career, Richard took to the road in a big white van. His sole companion? Willow, the small black rescue cat he'd promised never to leave behind. Full of adorable photos, Van Cat Meow tells the charming and inspiring story of the trip of a lifetime that became a whole new way of life. Richard East was an IT professional with a promising career. He now calls the road his home and has been travelling full-time with his cat in their campervan abode since May 2015. The books are valued at $24.99 each.